Congratulations to Ben and Vicki! 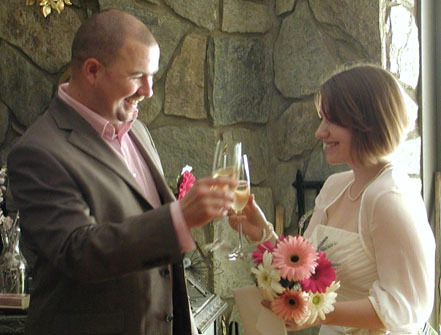 Best wishes to Ben and Vicki, who were married at the Inn on Mill Creek on June 22! The lovely couple, who are from the UK, were joined by their friends, Richard and Andrew, who served as witnesses. What a fantastic group! We very much enjoyed having them at the Inn. And we can’t wait to see their photos taken by the talented Cristen from Autumn Olive Photography.